I looked at a lot of combinations... dreamt of HREs, almost got them, then saw these Kinesis'. They don't scream bling and appear to belong and look timeless... and yet have a wildness to them when you see them up close. 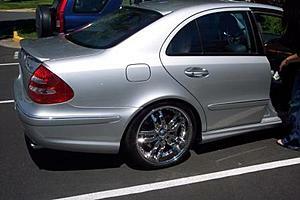 Hey Benzo, I noticed you put your OEM AMG bumper back on where the WALD once was. Still looks great! 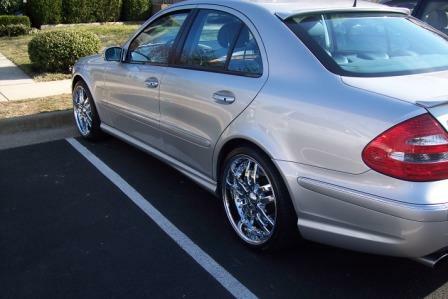 wow, those rims make that e55 look just like a 96 Chevy Impala SS! My WALD lip got ripped in half when my mom was drivin the car around for 2 weeks while I was in Denmark training with my fellow Marines...She told me she went over those little parking concrete blocks, and when she was backing out, the lip got caught and just ripped in half...To tell you the truth, I was wanting to back to the AMG because I thought it looked more aggressive and I was beginning to want that look again. To tell you the truth, I was wanting to back to the AMG because I thought it looked more aggressive and I was beginning to want that look again. W211 AMG owners, let's see your wheel pics! 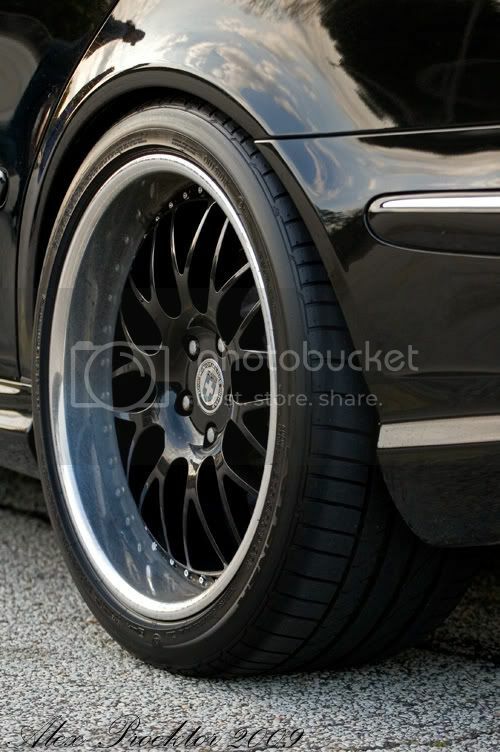 post up your wheels and help me decide which one's to get! preferably 19"+ and please include size and offsets, if possible. There is a picture sticky up top. How about going through that one first. Are you into show? or are in you into show and go? 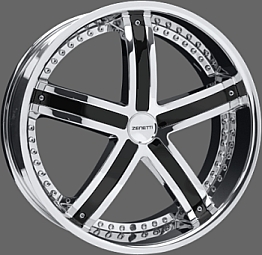 If you want some show without hurting performance go with 19's. I'm running 245/35/19 up front and 275/30/19 out back. I'm in the same boat and you beat me to the punch on starting this thread. 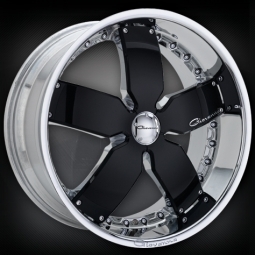 Attached are the rims I have. The black caps in the wheel pic pop on and off. I kinda like having it that way since every time I put them on/take them off, people have asked me if I got a new set of wheels. 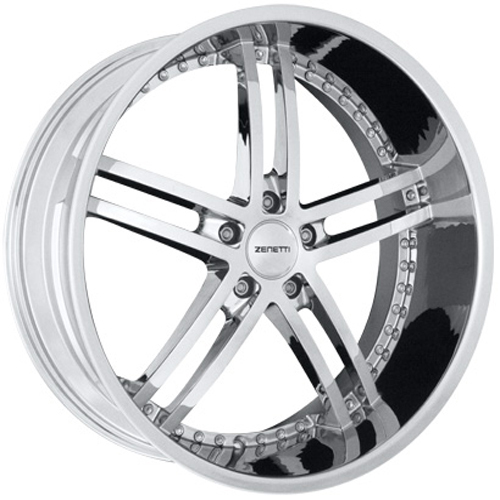 They are staggered 19" with 8.5 in front and 9.5 in rear. I am looking to possibly pick up a new set of wheels. Checking to see if I can find something better in the 400 per wheel range. Now, before I get brow beaten by the people with the 3000 per wheel, forged titanium allow , 2 lb, boost your 0-60 to 2 seconds flat, reaches out and scratches your ***** before you get in the car wheels, I am not gonna spend that kind of money yet. Other things to buy right now. Without hijacking your thread, if you want, I'll post pics of the wheels I find that I think are worth having others chime in on. Again, no worries if you are in the market for those "ball scratching" rims and you wanted to keep this thread at that level. Let me know. i dont see rims, let alone a car in your picture. Check the E55 picture thread above. You'll have many pages of pics! yeah, i was thinking 19s, as well. i would take form over function any day. i was hoping to run something larger out back, though. 295's would be nice. without the black caps, they looks too blingy for my tastes. i certainly wouldn't mind if you posted pics of wheels that you like. i think it would help the overall cause. that looks like the factory 2010 setup, if i'm not mistaken. do you know if they are 19's or 18's? i like how the spokes are cut out. i did go through that thread and saw some sweet setups, but thought a dedicated wheel thread might be nice. sorry, if you don't think so. How much did you lower your car? There are a "dedicated wheel threads"
Go to search function and type "E55 Wheel thread" and bam! How much is your car lowered and what method? what do you guys think of these? They have black inserts so you can have 2 different looks.